The Cottages Interviews 2018 Series is a go and kicking things off is Paul from Tread Lite Gear, who makes amazing kit in the UK 🇬🇧! I know Paul and Tread Lite Gear since several years and have interacted with him on Twitter on and off. Paul’s gear gets very good reviews from other bloggers and the wallets I bought from him a few weeks ago are very nice indeed. Paul has found a niche and serves it really well. But enough from me, here’s Paul’s answers! Paul, please briefly introduce yourself and tell us who you are. Since when are you backpacking, and how did you start? Hello all, Im Paul, im 47 and hail from Coventry in the UK. Its about as central in the UK as you can get and is also about as far as you can get from anywhere interesting to walk. Im married and have a 12 year old daughter. Back in my youth I was in the scouts and my Dad also took me on some hiking trips. I think that’s where my love of all things outdoors started. I suspect like many people life gets busy and you put things on the back burner whilst you chase a career, get married and have a family etc. I started getting back out maybe 10 years ago. At the time Ray Mears was doing his thing and for me it started with bushcraft. 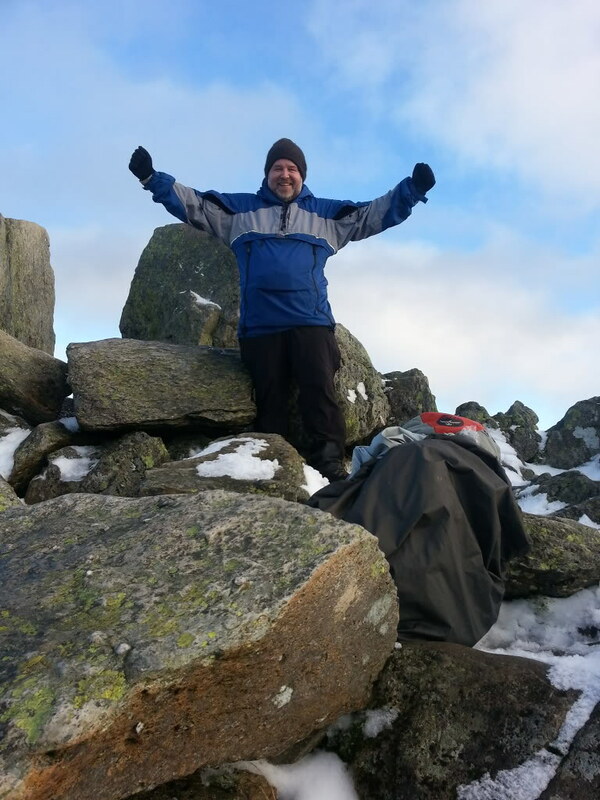 I quickly realised that what I really wanted to do was get out in the hills and I started to put away the all the heavy kit and look to ways to lighten my load so I could have a more comfortable journey. I also love to hammock and tend to hang in the winter months. If only there were more forests at altitude. Back when I was in employment I tried to get out at least once a month. After starting the company I was permanently broke and reinvesting everything to get it off the ground so trips were pretty thin on the ground. 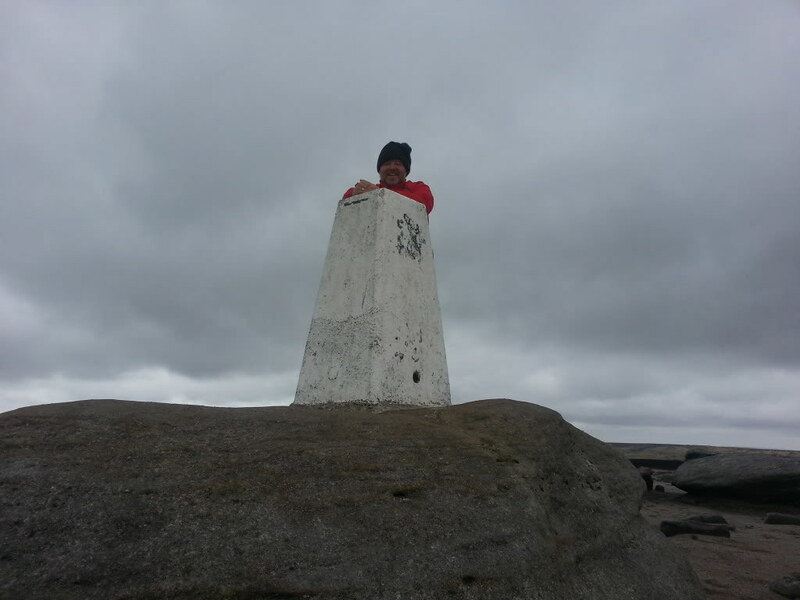 Last year saw a few health issues that kept me off anything too strenuous but hopefully that’s behind me now and im really looking forward to some proper summit time this year. I have already got two long weekends in the diary for end of May and middle of June. It will be a bit of a shock to my legs im sure! 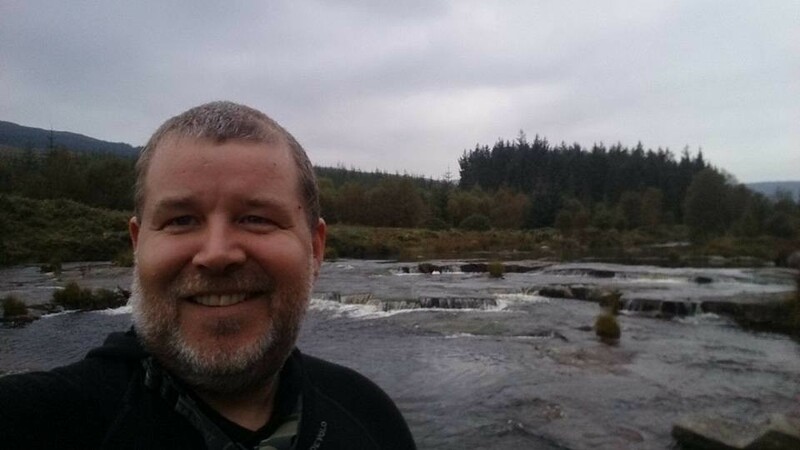 These days I’m mostly out on the weekends but back in the days when I had paid holidays I did a few longer trips in Norway, Estonia and Scotland. I think Norway is a stunning country, its hard in the UK to enjoy my love of a hammock but combine it with walking any great distance. 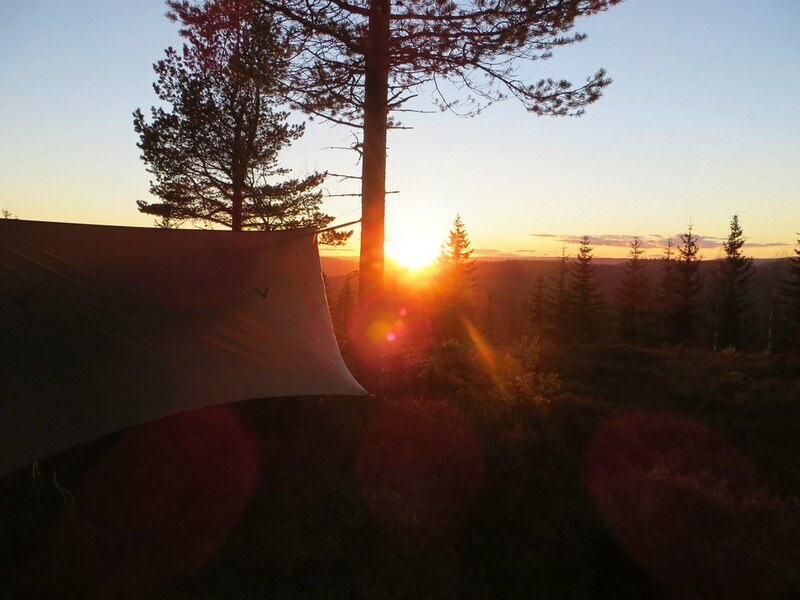 My first time was just a week walking around the Nordmarka. It was cool to walk out of Oslo station and get the metro to the trail head. Easy walking and trees on top of most peaks made for some great hangs. My other Norway trip was very different as I headed off to Karasjok way up in the arctic circle for a winter trip. Pulling a toboggan along frozen rivers was truly fantastic. The Estonia trip was great too. Another winter getaway to Laheema National Park. 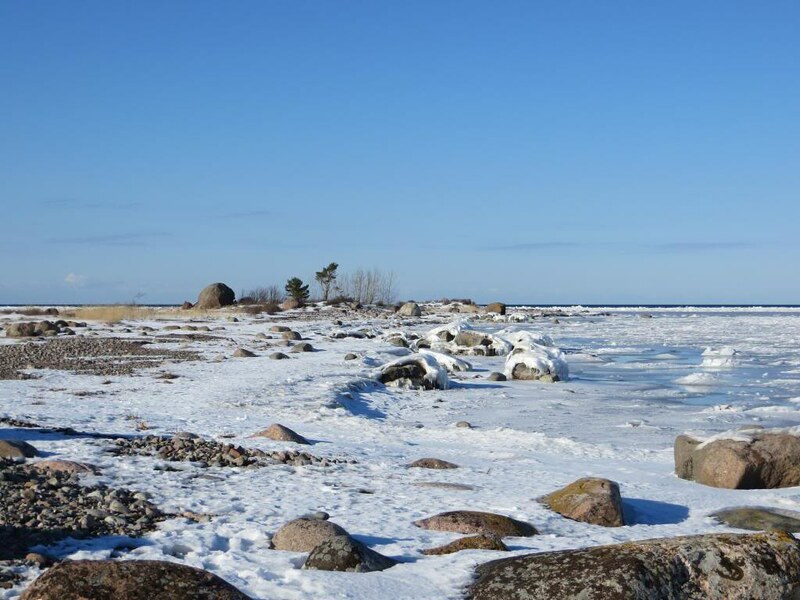 Living in a temperate climate I’d never seen the sea frozen so that was pretty cool. Im hoping to do something special for my 50th in a few years so need to get my thinking cap on for a destination. I’m never likely to get the time to do anything epic but maybe I could do a few sections of one of the big American trails. I hear the AT is pretty hammocky so that appeals. It is getting there now. Back in the first year of the business I sold pretty much all my high end kit to keep the lights on. At the time it was painful but looking back it did allow me to start with a clean slate. Like most folks I’d learned a lot of lessons over the years about what worked for me and what didn’t so I was able to assemble my ideal kit list as funds permitted. Im at about 4kg base for 3 season ground camping. I recently got hold of a lightly used DCF Khufu from Locus Gear and it’s a really quality bit of kit. The inner I find a little tight on length so I’ve just ordered an EE recon bivy to give a bit more room. My go to pack is an old GG Mariposa, it’s a vintage version in silnylon with acres of external mesh pockets. I don’t like to go into my pack until I hit camp so the mesh works great for stuff I need to access through the day. It’s a bit big for most trips but at just over 500g I’m happy to pack my sleep kit loose to pad it out. I always think its strange when I look at the current model and it weighs nearly double. Gossamer Gear, if you are reading this how about an anniversary special that hits the old weights? A 1.5oz DCF body Mariposa would be my dream pack. I have two so maybe one day I might get busy rebuilding one. My sleep mat is a GG Airbeam XL. Sadly no longer made but I love the extra width over my Neoair. I use a Cumulus 250 quilt from spring through autumn and an EE Enigma 10f for winter. 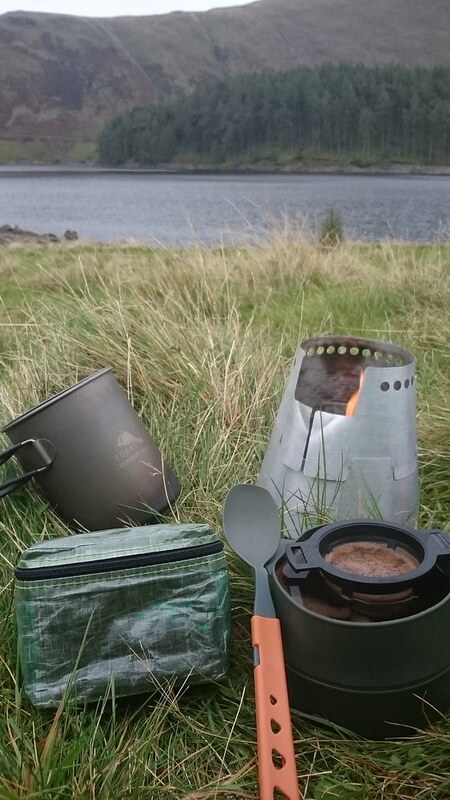 Cooking is a Toaks 850 with titanium cone from Stormin Stove Systems and a Speedster alcohol stove all wrapped up in a Tread Lite bag for 179g total. I own a lot of ti pots but the Toaks is great. I can get a meal and a coffee from one boil and the handles located right at the top means its great in a cone and you don’t get hot handles. I won’t bore you with the whole list, but these are the main ones! Please tell us where the name “Tread Lite Gear” came from, and what it stands for. Getting a name was a nightmare! You start off thinking of every word associated with being light only for a quick google to reveal someone got there first. I wanted something that reflected the UL sector I was aiming at but that also covered all the bases and didn’t pigeon hole any future product plans. In the end a short list was quickly whittled to Tread Lite Gear on the basis it was the only one I could get the domain for. I like it though, I think it sums up what the company is about and it rolls off the tongue nicely. What makes Tread Lite Gear different from other cottages? I think the main thing would be the focus on just hiking accessories. Most cottages offer a full service from the small stuff right up to packs, shelters and sleep systems. I wanted to be able to offer off the shelf products with no long waiting time to a high standard and at a reasonable price point. It’s a very simple ethos. It’s just me, one guy, one product at a time. I’m small enough that I get to interact with my customers on a more personal level and I think people like that connection, I know I do! I don’t do mailshots or undertake paid marketing. I wanted to take a very organic approach to growing the business at a pace that was comfortable. I get sick of emails asking me to review my purchase so that’s a feature I’ll never implement on the site. Life is too short. I also took the decision not to give away kit for review. It’s not that im tight, it’s just that I believe a review carries more weight if someone has parted with money to get it. Is Tread Lite Gear your full-time job or “just a hobby”? I’m full time. I work long hours but I wouldn’t change it. It’s very rare that it actually feels like work. I get to sit and watch box sets on Prime or Netflix all day while I work. Some people say I’m really a TV critic and sewing is a by-product of the process =) I remember after I finished watching Breaking Bad that I’d love to convert a big camper van into a mobile sewing studio! I love what I do though. I choose my own hours so there is great flexibility and I find it really rewarding. I think I’m probably unemployable now in the real world and every day I’m thankful that I don’t have to put on a suit, get in a car and drive ridiculous distances at the beck and call of others and tow the line. Its taken me a long time to find what I’m happiest doing and I’d never go back. Paying income tax in one go each year takes some getting used to though! I love what I do. I choose my own hours so there is great flexibility and I find it really rewarding. 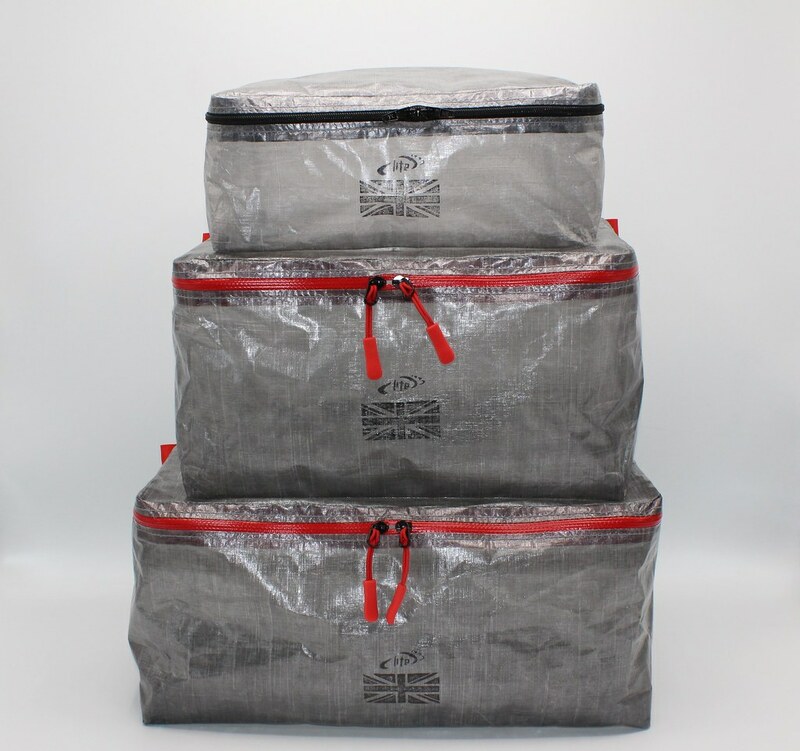 Tread Lite Gear makes lightweight lanterns and a massive amount of different pockets and bags accessories. Can you tell us how the idea to start the company emerged and how you see its future? In my old life I was a surveyor. I worked in the public sector for a large funding body providing capital funding for education. I left that to go into private practice on the other side of the table preparing property strategies and funding bids for clients. It was a great job and provided a comfortable life but it was stressful and involved a huge amount of travel and staying away from home. When the credit crunch hit, government funding collapsed. I managed to stay in employment and even started my own consultancy company. Eventually there were too many people chasing too little money and work started to be hard to come by. I kept it going a little too long. Usual story of flogging a dead horse when I should have cut and run. So one day I woke up with a pile of debt and no clue about where I wanted to go next but I knew I needed a change. With little cash to fund my gear I started playing at making my own. I bought a singer 201k sewing machine on ebay for £50 and a knackered MSR Hubba Bubba. I cut up the tent and made some awful looking monstrosities haha! I found I really enjoyed it though and after a few weeks of practice stuff started to look good. I thought the UK market was under represented and had potential so I shut the surveying business, flogged my car to release some funds and started the company. My wife went back to work full time to support us while I slowly set about building the business. Year 1 was really tough and I considered chucking it in more than once but deep down I thought it had the legs to go somewhere. Year 2 was much better and Year 3 finally saw the point where it seemed to start to gather some momentum. In my mind I thought that summers would be really busy and winters would be quiet allowing me to hike more but it didn’t work like that and I seem to be busy year round. December is probably the only time I get to take a proper rest over Christmas and we usually rent a cottage in Norfolk. Long dog walks on huge beaches with big skies are a family favourite and it’s nice to switch off and relax. I still use the same sewing machine for the majority of my work. It was built in the 1950s and it is still perfect. I like the juxtaposition of sewing space age fabrics on an old machine. I do have a bit of a habit of picking up more Singer 201s. There are 8 in the loft as we speak. A good investment though as prices are going through the roof. The future is something im thinking about now a lot. Im about at the limit of what one guy can do in a small workshop. I think I’ll tough it out this year but next year I’m going to need some bigger premises and maybe some staff if growth continues. I have a largish garden and would have loved to construct a workshop but alas it’s a big investment so I’ll end up leasing I think. Expansion brings all sorts of extra hassle and more risk but we’ll cross that bridge when we get there. Any intentions of starting to branch out into other segments, for example offering backpacks or stoves? In the short time I’ve been doing this I’ve seen many cottages go to the wall or have huge problems. The online communities are full of stories of people folding and still taking money from people for gear that doesn’t arrive. They always seem to be big ticket items where payment is taken up front and lead times can be huge. There are some very sad stories behind some of these situations and whilst you can empathise, I never want to be in the position of needing to take up front payment or suddenly having a workload that is out of control. Life throws things at you that you have to deal with and always at a time that is inconvenient. Although people cut cottages a lot of slack, when all said and done it’s a business and, you need to act accordingly and fulfil your obligations. For that reason if I ever did branch out into big ticket stuff I would only sell what I could put on the shelf. Not really although there are often interactions on social media. Your company is now three years old has been getting good reviews and praise from all across Europe. Is business going well? Yes it’s good. Cash is always tight but each year gets a little easier. I launched the website this year so that’s brought a new dimension to things. I kind of thought that ebay sales would subside as the web became more popular but ebay seems to continue to grow as does the website. In time I hope to get off ebay as it’s a terribly expensive platform to sell on and they are making it more and more admin intensive and bureaucratic for businesses. Im already introducing lines that won’t go on ebay. Can you tell us a bit how you went about the design process of Chest Pack / Front Pouch, and where the inspiration came from? The chest pack in itself is very simple in its construction. I’d always liked the idea of a chest pouch and it’s something that customers asked for a lot. Reaching for side pockets can be a pain so it is nice to have somewhere easy to get to. The problem was always attachment to the pack. I’d tried some commercial versions in the past like the OMM trio and a Salomon one and always found them hard to mount to my pack and the weights were poor. I tried a few prototypes of my own but never quite got something that I thought would be a universal fit. The current model seems to tick those boxes and feedback has been great. Paul, we love to be let in on the work-in-progress stuff! What kind of new products are you working on at the moment? As I mentioned in another question im about at the limit of my time so I don’t have anything major planned. As I write this I’ve finally added cuben packing cells in a few sizes to the website which I’d only ever done previously on a custom basis. My focus over the summer will be weeding out the stuff that’s not really cutting it on the rosta, improving some of the photography and getting more pictures of gear in use whilst expanding some of the options on stuff that’s already there. My time outdoors is precious to me and I hate taking work out with me but I do appreciate studio photos are not as nice as stuff pictured on the hill. I seldom take a camera out with me. It’s too easy to live trips looking through a lens so I tend to just drink it in. I am also a little camera shy. I’d also like to get a budget range of gear up on the website too as I’m always conscious that we don’t all have unlimited funds to splash out with. It is hard though as the labour costs and overhead are the same no matter what the fabric cost. Not really, DCF (I still prefer the cuben name) is still really the benchmark and I don’t see anything to challenge it in the near future. I see lots of new, heavier weight fabrics that I like though, particularly from the racing sail side of the industry, but obviously their UL appeal is limited. I’m not a huge fan of the recreational lite skin for instance but some of the racing sail lite skin laminates are beautiful. How works the R&D at Tread Lite Gear, do you have a need yourself that you try to fix, or do some of your clients inspire you for new products and ask you for solutions to their problems? I think it’s a mixture. UL hikers are very knowledgeable. I mean we all spend hours on end looking for solutions and looking at Gucci kit to shave a few more g’s and for sure customers are your biggest asset when it comes to product development. You can’t make every customer suggestion work due to practicalities or economics but you can often implement small changes that make gear more useable. A good exampIe would be the roll top camera strap pocket which came into being after it was requested by Ed and Robin on the trek lite forum. Took me a while to get something I was happy with but they are very popular now. I’m always kicking around ideas with the guys I walk with too. 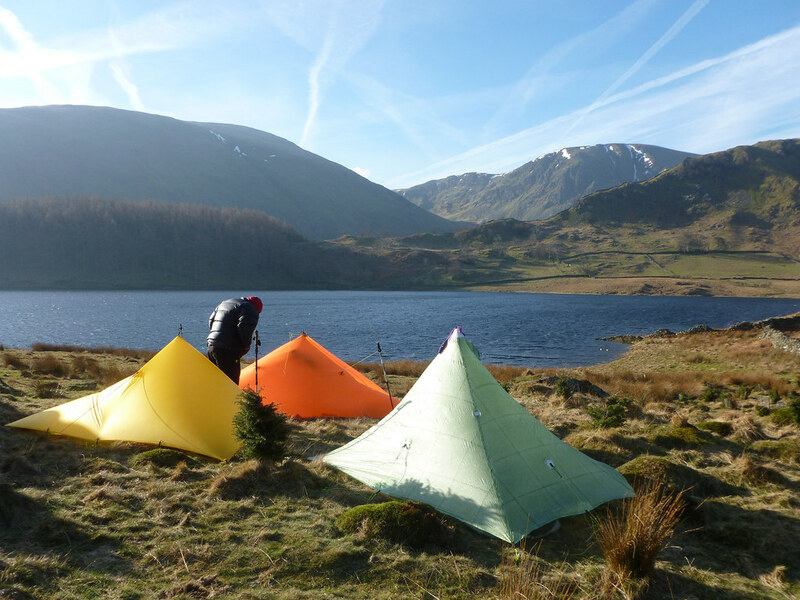 On my last trip to the Lakes I was testing a new UL rechargeable cuben lantern. Rich and Chiseller quickly made a few suggestions to improve the design and it was on sale the following week. Cheers chaps! I do love doing something new as it breaks up the routine. I have a list of stuff that I’d like to make or develop when time permits. Some of that is customer driven and some are my own musings on gaps in my lineup. I’m on social media and forums so that is a big pathway to my door. I’ve been lucky to have some exposure from other areas which I’ll mention later if I may. Ebay and Google are probably a big route too. Ennerdale in the Lake District late March for a couple of nights in the hammock. It was dry too. That’s probably my last low level camp this year. It is time to get some high level stuff in, get my fitness back and escape the midge season! I was recently chatting to a Norwegian customer who is about to embark on a trip from the far SW of Norway right up to North Cape (3000km). It’s not a recognised trail but of all the backpacking I’ve done in Norway just makes me glow inside. I think some of that has to do with the great company of people I went with, the warm welcome from local people we met as well as the great beauty of the place. So yea I reckon something similar. Too many! I love my little cuben lanterns and there is one clipped to all my shelters and hammocks. They weigh very little and its nice not to burn the battery on my head torch in camp and it saves the need to carry a spare cell. 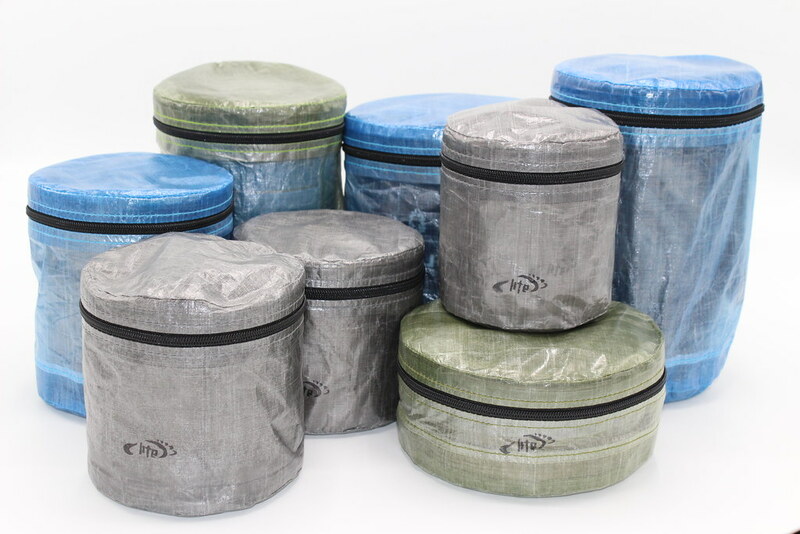 I’m a coffee fuelled entity too so my little cuben coffee caddy bag is something that sees a lot of use. Other stuff I’m never without is my Zebralight head torch. It has never let me down. My swing lite flex brolly, my old school Mariposa pack and a Fenix 5 watch for route tracking and data. I never thought an Umbrella would be something I’d take but it’s surprisingly useful and hey it is orange! I do like bright colours and own very little stuff in earthy tones. Top of my wish list is the new Garmin Inreach Mini. I seldom have a phone signal when hiking so it would be nice to text the wife to tell her I’m alive once in a while. I’ll wait a while and see what people think of it in use. Are you planning to get out for a trip soon, and enjoy the spring in the United Kingdom? Yes indeed. Lake District end of May and middle of June. May to meet up with a few mates and June to meet some of the friends I’ve never met from the excellent Trek-Lite.com forum. After that I’d like to get over to Snowdonia for a few trips. I like my mountains craggy and gnarly. Tryfan and the Glyders are a favourite. Social Media - on which channels is Tread Lite Gear active? I am on Instagram, Facebook and Twitter for work and active on the Trek-Lite.com forum which I try to keep for more personal enjoyment although work does creep in as you’d expect. I recently culled a lot of the Facebook groups I’m active on a personal level as my feed was just solid hiking related and sometimes it’s nice to see what my family and friends are up to. I read BPL from time to time but I prefer smaller more close knit places. Hammock forums is somewhere I visit too and Reddit occasionally as I’m not mad on the interface although the content is good. I probably spend too much time online but most of the people I hike with I met through online community meetups. I don’t think I’ve ever met anyone I didn’t get on with and it’s always nice to put a face to a name. Paul, I thank you very much for taking the time to answer my questions =) Is there something you would like to add? Well firstly thanks for reaching out to do the interview Hendrik. I’ve been lucky to have a lot of other people help in getting my name out there too so I would like to also offer them some thanks if that’s OK.
Bob Cartwright at the Outdoor Station interviewed me last year which I really enjoyed and definitely had a positive impact on the business. To Chris Townsend and the TGO Magazine team who recently did a feature which has again given a boost to things and rather impressed my daughter at the same time. She took great delight in going to buy a copy and then texting pictures to everyone. Thanks also to all the people on Facebook, Twitter, Insta, blog writers and Youtubers who share my posts and mention my products - many of whom have become friends! My wife deserves special praise for her support, allowing me to steal away time working when I should be spending it with the family and yet still encouraging me to get out and hike. Last but no means least, my customers. I get tons of messages offering thanks and encouragement. You keep the dream alive! It is deeply appreciated! How much did you spent on your last piece of outdoor gear? And how much did you support your favourite blogs in the last months? If you enjoyed this interview & other articles buy me a coffee - I work Full-Time on Hiking in Finland to bring you inspiring trip reports, in-depth gear reviews and the latest news from the outdoors. You also could subscribe to the rarer-than-ever Newsletter and follow along on Instagram, Twitter and Youtube for more outdoorsy updates!